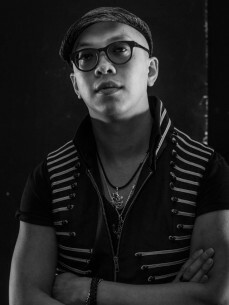 CHI THANH is a German-Asian multi-instrumentalist (guitar, piano, drums, bass, sax...), music producer & DJ based in Berlin. CHI THANH is no newcomer to the game, he has already, under different monikers, written/remixed and produced music for diverse and international stars and artists, but chooses to keep it a bit „secret“... he was even nominated as a songwriter for a Grammy in 2004. CHI THANH now steps out on his own with his first album project under his “real name“ CHI THANH. He wrote, played, produced, programmed and mixed everything himself on his debut album entitled KISS THE SKY. “Organic, acoustic real instruments, guitars, psychedelic 60s vibes meet Berlin Deep House club beats“. One could call the sound “Hippie House“. He collaborated with some international artists/singer-songwriters such as: Kori Withers, Sway Clarke, Casey K, Mati Moon for the more song-oriented tunes. Sticking true to his sound and vision he recorded and wrote the album in Venice Beach, California and Laurel Canyon, Hollywood where the “Hippie vibe“ of artists such as Joni Mitchell, Jimi Hendrix, Neil Young still lingers around. He then finished the production in Berlin to add the deep club music feel.